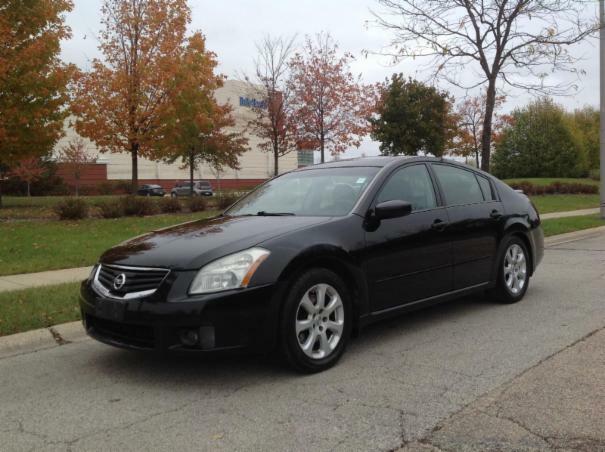 This 2007 Nissan Maxima 3.5 SL is a midsize luxury sedan with a powerful 3.5 liter V6 engine, a beautifully appointed interior with black leather seats, and plenty of outstanding features. This edition is newly detailed, super clean, extremely sharp, and drives very well. The seats and carpets look great. The Maxima has sporty good looks, sharp styling, sharp handling, quick acceleration, and is fun-to-drive. It has a spacious and comfortable interior. Options include a sunroof, power seats, windows, mirrors, locks, alloy wheels Firestone and BF Goodrich tires, double dual exhaust, rear spoiler, dual climate control, heated seats, a Bose premium sound system with AM-FM stereo with CD player and 6 disc CD changer.